First I want to thank Instructor Landers and senior belt Oleksiy Korniychuck for leading TKD classes during my absence. I’m sure the students appreciated the variety in drills and training. 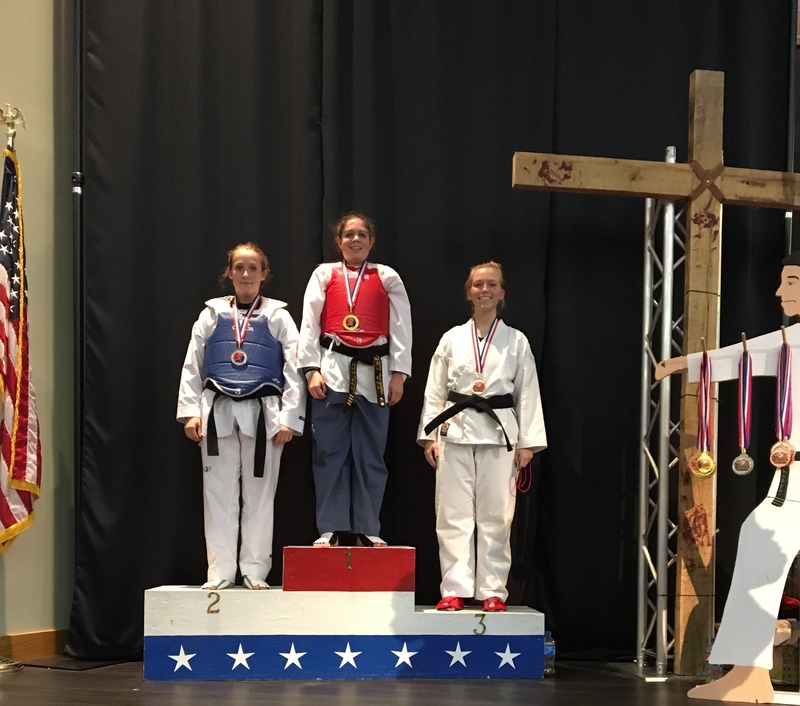 Also, delayed congratulations to Instructor Landers for her efforts and placing in free-sparring at the past Midwest Open tournament. Excited about the upcoming belt test this Saturday, December 8th in the ARC Combat Room? Warm-ups will start promptly at 12:00 PM. I recommend showing up at least 15 minutes early to ensure you are there on time. The belt test will take place instead of the 12pm-2pm class! From Friday, December 21st – January 6th the ARC will be closed and TKD practice will be held at CRCE in an available multi-purpose room. Starting on Monday, January 7th we will resume TKD classes at the ARC Combat Room as the same days/times as the fall term (Mondays 6pm, Wednesdays 5:30pm, and Saturday 12pm). Space will not be reserved so we may be sharing the facility with others.